All Saint Paul residential properties with 1-4 units, including rentals and townhomes, must each have service and a garbage cart per unit. Depending on your cart size, you can have either 2 or 3 bulky items collected each calendar year at no additional cost. An annual fee of $24.60 will be added to your Ramsey County property tax statement to help cover costs for carts, program administration, outreach and education efforts. All household garbage must be securely bagged. Do not place loose garbage inside of your garbage cart. Garbage can be secured in any type of bag, such as plastic, paper (stapled or rolled tightly shut), or biodegradable bags. Any garbage that does not fit in a cart with the lid closed is considered “overflow” and will be collected at a charge of $3 per bag, plus tax. Bag all overflow garbage and keep it indoors until your collection day. Keep your cart 2 feet clear of all objects. Make sure your cart is not blocked by cars, snow, other carts, or other obstructions. Blocked garbage carts will not be collected. You are responsible if your cart is lost or damaged beyond normal wear and tear. Please keep your cart clean and store it in a safe location. Do not paint or alter the exterior of your cart. 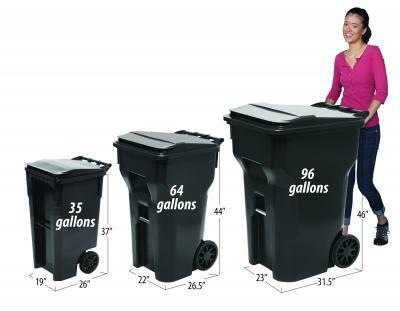 You can change your garbage cart size once a year at no additional cost. Subsequent cart changes will cost $25 per change. Cart changes can include, but are not limited to, service level changes or cart replacements due to damage or loss. Call your hauler to request a cart change. For more information and updates on delays due to winter weather, please visit our winter collection page. If you have any issues with your service or need to sign up for any additional services, contact your garbage hauler. You can find out who your hauler is by using this interactive map. If your garbage cart was put out at your collection location by 6 a.m. on your collection day and your garbage was not collected, please call your hauler immediately to report a missed collection. Find your hauler’s contact information here. 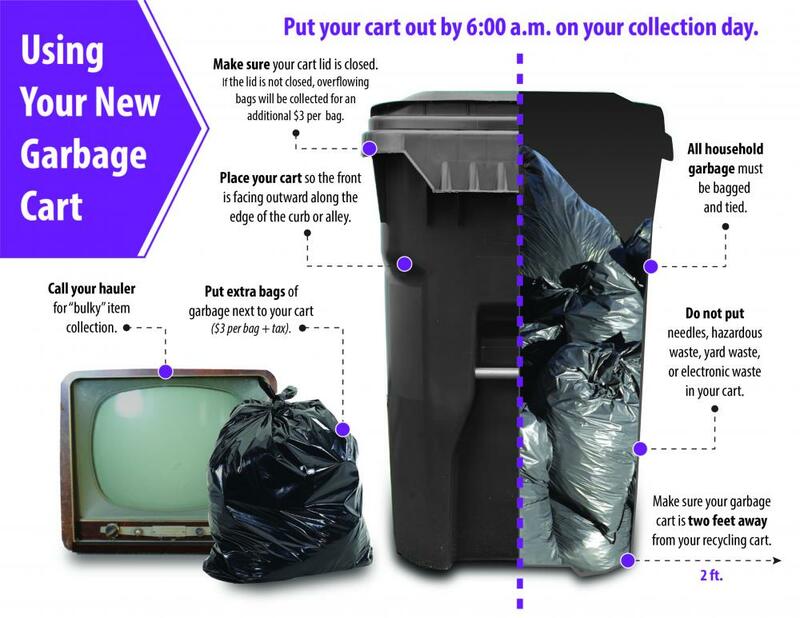 If you do not put your garbage cart out by 6 a.m. on your collection day, your hauler can return and collect your garbage for a $40 fee, plus tax. If you would like to request “return service,” call your hauler as soon as possible. Find your hauler’s contact information here. If you see illegal dumping anywhere in the City of Saint Paul, please report it to us. You can contact the Department of Safety and Inspections at 651-266-8989. None of your garbage ends up in a landfill. The garbage collected in the City of Saint Paul goes to the Ramsey/Washington Recycling & Energy Center (R&E Center). The R&E Center uses waste to energy technology. The facility processes over 440,000 tons of garbage a year and produces fuel used by Xcel Energy to generate electricity. For more information, visit the R&E Center.